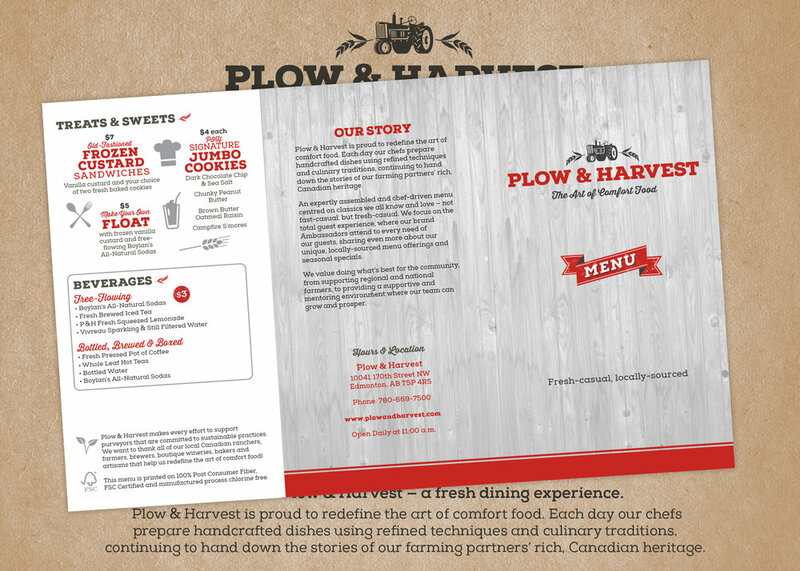 In June of 2013, I was hired by Access Point Group, a hospitality consulting agency, to brand a new restaurant in Alberta, Canada called Plow & Harvest, a fast-casual, farm-to-table concept. 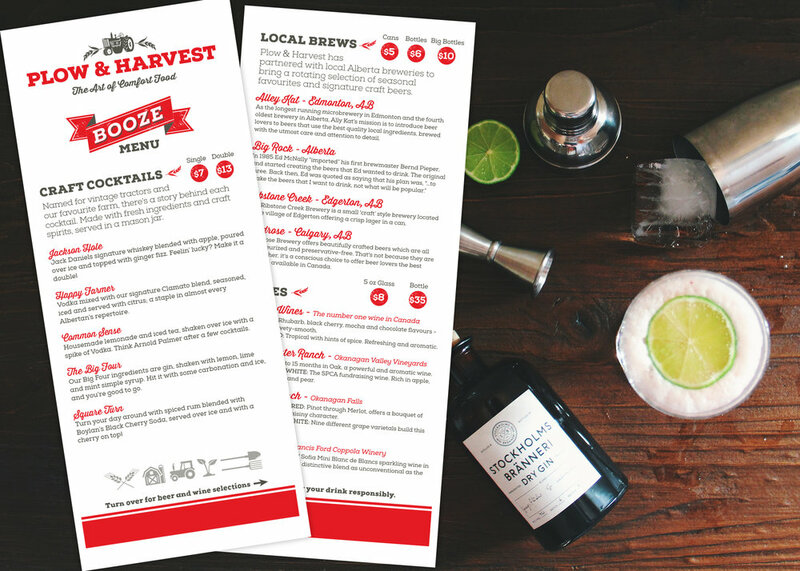 What started out as a few basic branding needs – logo designs, print & digital menus, simple website, and exterior signage – turned into a much bigger project. Over the course of 3 jam-packed months, including attending the soft opening, more projects developed: social media, handout cards, business cards, uniforms, interior decor and signage, water bottles, labels, public relations collateral, food photo shoots and more! It was the highlight of my career, and I'm really so thankful for the opportunity. Unfortunately, the owner of the restaurant decided he no longer wanted to be in that line of business and shut it down after several months of operations. Broke my heart. Canadians love their booze, in fact if you don’t serve alcohol at a sit down restaurant, chances are slim you will have a profitable business! 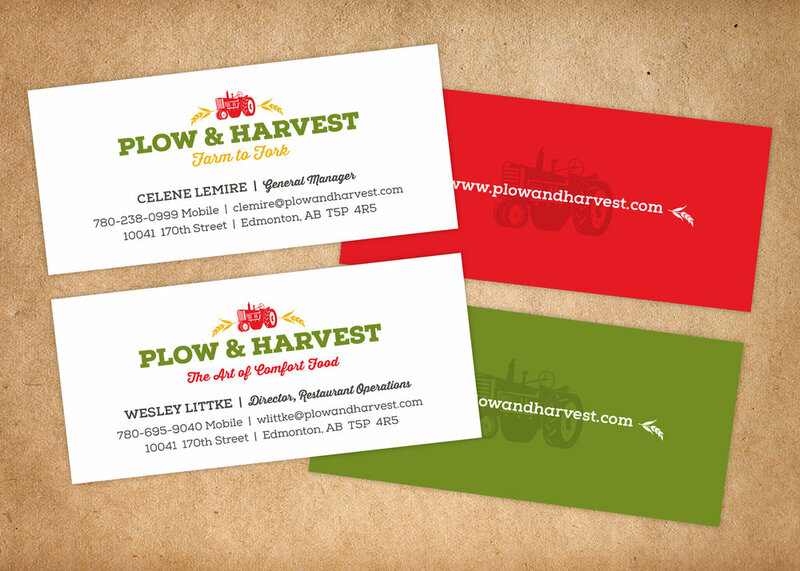 As the staff was slowly hired, business cards transformed.